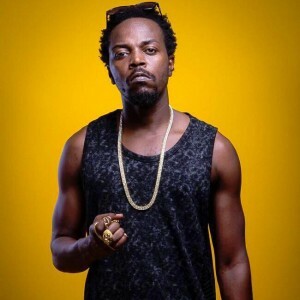 Ghana’s ‘madman’ Kwaw Kese preaches peace in „Krokromoti power“, his song about the elections in Ghana December 2016. Many top musicians have participated in political campaigns either praising John Mahama and his promises of creating more jobs through launching more infrastructure projects, building prestigious shopping malls and modern hospitals. The official song to his campaign is called „Onaapo“ by Dee Aja and even introduces a dance. Other hiplife or highlife musicians like Daddy Lumba, Kwabena Kwabena and Sidney have endorsed the leader of the opposition party NPP (new patriotic party)Nana Addo. He wants to move the industrial development forward in his country building factories in each district, providing free high-school education and investigate corruption with a special team. There is even an NPP version of Gasmilla‘s street anthem „Telemo“ from last year. Ghana is known for its stability in Westafrica. Though the faltering economy, major corruption scandals and the electricity problems caused a lot of frustration, especially among people living in poverty, with a potential of a outbreak of violence. When Nana Addo was announced winning the elections with 54% of the votes. John Mahama and his party respected the results and congratulated Nana Addo. Though his supporters were not happy at all. When Mahama returned to his hometown Bole-Bamboi in Ghana’s northern region during Christmas, many of his supporters gathered in front of his house demanding jobs and money.